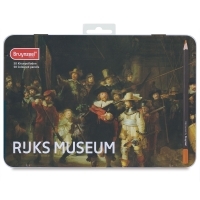 Inspired by the works of Van Gogh, Vermeer, and Rembrandt displayed at the Netherland's famous Rijksmuseum, Brunzyeel has designed a series of graphite, aquarel, and colored pencil sets that were carefully chosen to evoke the work of the Dutch Masters. 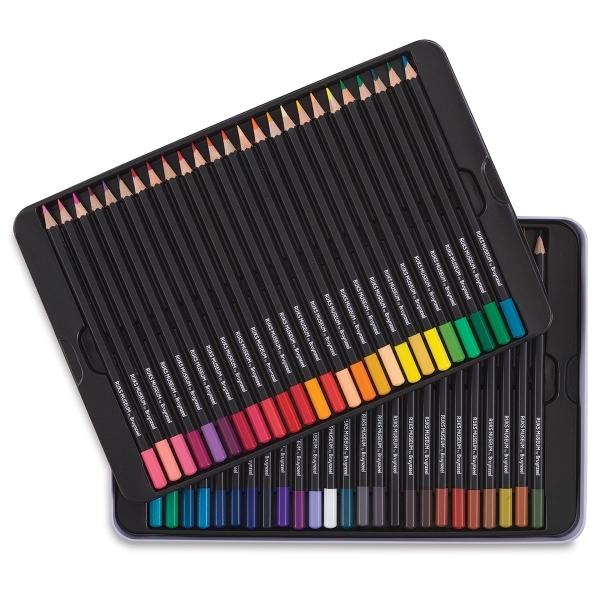 This set includes 50 Bruynzeel Colored Pencils, one each of Burnt Sienna, Flesh, Brown Pink, Crimson Red, Light Flesh, Vermilion, Dark Red, Carmine, Permanent Orange, Madder Lake Light, Brown Ochre, Deep Yellow, Orange, Mid Orange, Yellow, Naples Yellow, Light Lemon Yellow, Yellow Brown, Yellowish Green, Leaf Green, Gold, Green, Olive Green Light, Chromium Oxide Green, Light Green, Deep Green, Emerald Green, Turquoise Blue, Sevres Blue, Viridian, Light Blue, Kings Blue, Indigo, Dark Violet, Mauve, Prussian Blue, Dark Pink, Candy Pink, Violet, White, Dark Gray, Dull Cold Gray, Cold Gray, Black, Black Intenso, Burnt Ochre, Dark Brown, Havana Brown, Ice Green, and Yellow Ochre. 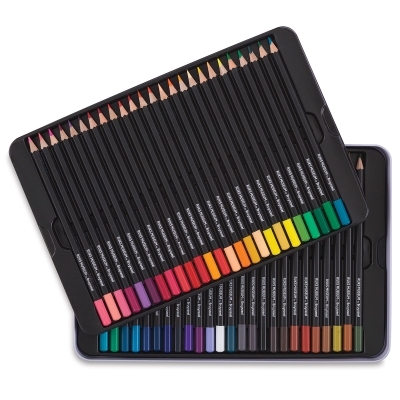 ® Bruynzeel is a registered trademark.